The Bureau of Internal Revenue (BIR), an agency under the supervision of the Ministry of Finance, deals with assessment and collection of all national internal revenue taxes, fees, and charges, and the enforcement of forfeitures, penalties, and fines. The National Internal Revenue Code of 1997 (NIRC 1997) stipulates the Philippine income tax provisions. Historically, the U.S. tax laws have profoundly influenced the Philippine tax system. Many of the terms and provisions adopted in NIRC 1997 could be traced to the U.S. tax laws. A significant difference is Philippine’s cohesion between worldwide and territorial tax system. Filipino citizens and residents are subject to tax on worldwide income. Expats pay taxes only on income from sources in the Philippines. The specifics of the tax laws and the cost-of-living brand the country top destination for challenge-seekers and elderly taxpayers looking to retire in a tropical paradise. Foreign nationals, who are planning to work, conduct business or become residents in the Philippines, must register with the Bureau of Internal Revenue. A Taxpayer Identification Number (TIN) is assigned after a formal application and submission of relevant identification documents. The TIN is a unique, 9-13 digit number issued to both individuals and entities. The first nine digits are randomly allocated, while the last four are reserved for corporations and would be all zeroes for an individual. Individuals who expect to earn employment income must complete BIR Form 9002. Form 9001 shall be used by persons with mixed income or income from self-employment activities. Various other TIN application forms are also available depending on merit and type of applicant. The tax year in the Philippines follows the calendar year, spanning from January 1st till December 31st. Consequently, individual income taxes are assessed on a calendar year basis. Individuals who are not citizens of the Philippines are classified as either resident or non-resident aliens. Resident aliens are foreigners who intend to reside for an extended period within the country. All other non-citizens are classified as non-resident aliens. Both resident and non-resident aliens are subject to tax only on income from sources within the Philippines. Consequently, American expats in the Philippines would pay no Philippine income tax on income from abroad. Section 32A of NIRC 1997 separates gross income into eleven categories. Gross income is defined broadly to include compensation for services of any kind, proceeds from a trade or business, gains from dealings in property, rents, royalties, dividends, annuities, prizes and awards, pensions, and partners’ distributive share of income from a partnership. Certain welfare benefits, life, and health insurance proceeds, compensation for injuries and sickness, as well as gifts and bequests are excluded from gross income. Compulsory contributions to the Social Security System (SSS), Government Service Insurance System (GSIS), Philippine Health Insurance Corp (PhilHealth), and Home Development Mutual Fund (Pag-IBIG Fund) are also excluded. As of July 1st, 2011, voluntary contributions to the SSS, GSIS, PhilHealth, and Pag-IBIG are not subject to exclusion. However, proceeds from private pension plans maintained by an employer for the benefit of the employees might be non-taxable if certain statutory provisions are met. The fair market value of fringe benefits paid by the employer is subject to a final tax of 32%. A statutory exemption of P50,000 per taxpayer is deducted from gross income to reach taxable income. The exemption doubles if a joint return is filed and both spouses have taxable income. A P25,000 exemption is available per dependent child claimed on the return, for up to 4 dependents. A dependent includes any single and not gainfully employed child less than 21 years of age, living with the taxpayer. The definition also includes a child living with the taxpayer, regardless of age, if incapable of self-support because of mental or physical disability. The additional exemption for dependents is allocated to the husband who is deemed the proper claimant unless he explicitly waives his right in favor of his wife. In the event of legally separated spouses, the child exemption is always allocated to the custodial parent. Married taxpayers may file a joint return, but are also required to compute and pay income tax separately on their respective total taxable income. A community income that cannot be attributed to either of the spouses is divided equally between them. Section 74A of the NIRC 1997 imposes a withholding (payroll) tax deduction on income from employment. Wages and salaries are taxed at source under the PAYE (Pay-As-You-Earn) system. Income from employment includes wages, salaries, bonuses, perquisites, and various taxable benefits. The tax deducted at source is treated as an advance payment of your prospective tax liability and is remitted to the tax office by the employer. The amount of tax withholding depends on the number of exemptions available. Once employment starts, the employee is required to sign an Exemption Certificate and deliver it to the employer. If exemptions increase or decrease during the year, a taxpayer may complete BIR Form 2305 to update the number of exemptions. BIR Form 2316 “Certificate of Income Tax Withheld on Compensation” is the Philippine equivalent of a W-2 form. It reflects your personal data, TIN, dates of employment, income, tax deductions, various contributions and any other adjustments to income. The tax certificate serves as a proof of tax withholding and is a must for the preparation of your income tax return. The employer must hand over Form 2316 to you by the last day of January of the year following the year of employment, or as of the last day of work, should you resign before the year end. Apart from personal and dependency exemptions, employees are only entitled to an additional health insurance premium deduction of up to P2,400 per family. Section 24B of NIRC 1997 imposes a final tax on certain passive income. The tax rates are identical for both resident and non-resident aliens engaged in a trade or business in the Philippines. Section 25A clarifies that non-resident aliens physically present in the Philippines for an aggregate of 180 days or more during the calendar year shall be deemed engaged in a trade or business activity. Non-residents who are not engaged in a trade or business are subject to a more burdensome tax rates unless a tax treaty provision applies. The following table summarizes the final tax rates on selected items of income. Section 74A of the NIRC 1997 defines self-employment income as earnings derived by a person from the practice of profession or conduct of trade or business carried out as a sole proprietor or by a partnership of which the individual is a member. A sole-proprietorship is not subject to burdensome licensing and regulation. Self-employed taxpayers and aliens engaged in a trade or business in the Philippines may also claim a wide-range of business-related expenses to arrive at taxable income. Freelancers are required to file an estimated income tax return by April 15th of the year the self-employment activities take place. The amount of estimated taxes to pay is determined by reference to the taxable income declared by the taxpayer for the immediately preceding tax year. An exception from the estimated tax provisions applies to non-resident aliens not engaged in a trade or business. The self-employment income earned by such individuals is considered fixed income subject to a 25% final tax rate. International employees of certain regional, area and operating headquarters of multinational corporations, as defined in Sections 22(DD) and (EE) of NIRC 1997, are subject to a preferential tax regime. Such employees are subject to a final tax of 15% applied on gross compensation. Similar provisions also apply to alien employees of offshore banking units and petroleum industry contractors located in the Philippines. The final liability of a taxpayer is assessed after year end. Section 51 of NIRC 1997 provides that international taxpayers exercising a profession or deriving income from sources in the Philippines shall file an annual income tax return. An exception from filing is available only to resident and non-resident aliens whose Philippine income has been subject to a final tax, or whose wages are below the minimum wage. The tax return is due by April 15th of the year following the tax year.The type of tax return depends on income subject to reporting. BIR Form 1700 is the regular income tax return for employees. BIR Form 1701 is the return filed by self-employed taxpayers. The income tax return can be filed electronically through the Electronic Filing and Payment System (eFPS). A paper filing with the Regional District Office (RDO) or through an Authorized Agent Bank (AAB) is also available. Once the return is processed and the tax assessed, a taxpayer receives a refund or notice and demand for payment. If a taxpayer disagrees with the assessment, a formal protest must be filed with the Commissioner within 30 days. If the protest is denied or is not acted upon within one hundred eighty days from submission of documents, the taxpayer may appeal to the Court of Tax Appeals within thirty 30 days of receipt of the denial or from the lapse of the 180-day period. Section 202 of NIRC 1997 provides that the Commissioner has 3 years from the date the tax return was due or filed, whichever comes later, to assess and collect any taxes due. The Statute of Limitation is extended to 10 years in the event of fraud or tax evasion. American citizens and Green Card holders living in the Philippines are still required to file a U.S. income tax return on an annual basis. The U.S. source income of American taxpayers would not be subject to tax in the Philippines. Further, a tax credit would be granted on your U.S. tax return for taxes paid on income derived from Philippine sources. Nevertheless, the timely tax planning is the key to elimination of a possible double tax exposure. 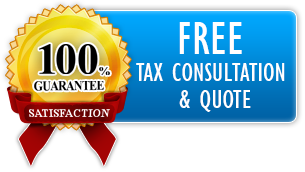 Thus, we urge you to contact us long before tax year end.